Colour Physcology For Your Home!!! We all at times are draw to different colours for many different reasons, for some it is something emotional and for some just the feel and the look of it. To most a particular colour will remind them of someone close and to some something even more personla. Now how does colour physcology work with our homes lets have a look, normally we see homes in our Pakistani society coloured all in white inside and out. Even individual rooms are usually of the same colour, which till date is practiced quite a lot. But now a hanfdull of teens and some adults have started experimenting with colours to see what would work. We have to keep in mind that colours that we choose all have different impacts on our home. Some colours make a partiuclar place look twice in size and give a new and bolder look and some reduce the size of the place all together. Some colours get you hyper and some soothe the mind completely. The colour White is mostly associated with purity, innocence, cleanliness, sense of space, neutrality and mourning (in some cultures/societies). Which does not mean that you have to associate your self with mourning but it cna be all the other things for you too. Now on the other hand when we come to the colour black it is most associated with authority, power, strength, ilintelligence, thinning / slimming and death or mourning. Black also for a majority of the people can mean being in a bleak and depressing mood. But lately it has come into notice that the youth is more into the colour black for the peace it provides them and the thinking ability it gives them. The colour grey stands out to be more neutral, timeless and no non sense and practical colour. It can give you the serious edge you look for or simple the plainness you might seek. The Color Red has the most intense effect ever known for a colour, its love, romance, gentle, warmth, comfort, energy, excitement, intensity, life and blood for all most all the cultures around the world. It is mostly associated with happiness and positive hyperness. The Color Orange is associated with happy, energetic, excitement, enthusiasm, warmth, wealth prosperity, sophistication, change and stimulation. The Color Yellow depicts happiness, laughter, cheery, warmth, optimism, hunger, intensity, frustration, anger and attention-getting.Yet it is also a summer colour and gives pleasnt smiles as well. The Color Green is more a nature colour it associates with cool, growth, money, health, envy, tranquility, harmony, calmness and fertility. The Color Blue is more the colour of a bachelor its calmness, serenity, cold, uncaring, wisdom, loyalty, truth, focused, and un-appetizing. 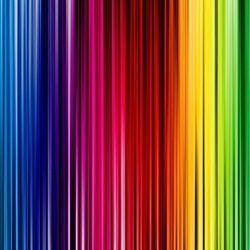 We must keep in mind that like everything else colors have a nagtive impact too, but it depends on us which side we choose. The Color Purple is all about royalty, wealth, sophistication, wisdom, exotic, spiritual, prosperity, respect, and mystery. The Color Pink is romance, love, gentleness, calming and agitation.